The CF 720 is a high performance tire for large diameter rims, engineered for all-weather high speed handling and minimal wear. Directional tread provides stability at high speeds and an advanced shoulder design ensures excellent handling. 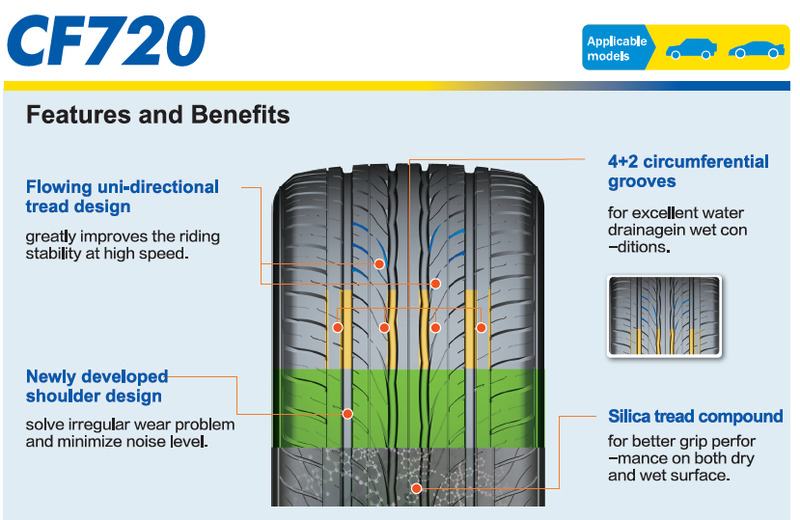 Six grooves and a softer high-silica tread compound combine for great traction on wet and slick roads.